1. You're not buying your turkey soon enough. While turkey may not be the most delicious part of Thanksgiving, it is the centerpiece. You should have a plan in mind for when and where you're getting yours. If your'e buying a frozen turkey, buy it one to two weeks ahead of time and store it in the freezer. If you're buying a fresh turkey, you should pick it up or have it delivered on Tuesday before Thanksgiving (Monday will work, too), giving you time to brine it. Reserve it two weeks in advance, either by calling your local grocery store or by scheduling delivery from an online retailer. 2. You're overfilling your pie crust. Pumpkin pie filling puffs as it cooks, thanks to the eggs mixed in. Leave at least half an inch of crust above the filling so that there's no messy spillover. 3. You forget that a turkey takes three to four days to thaw. The safest way to thaw your turkey is by putting it in the fridge, where it'll take roughly 24 hours for every 5 pounds. So, a 15-pound turkey will take three days to fully thaw. That means that if you want to brine it for 24 hours, you'll need to put it in the fridge to start thawing on Sunday. Learn more here. If it's already too late for that, here are some last-resort ways to thaw your turkey. 4. Your timing is off. Face it: Even a simple Thanksgiving takes work. It's important that you go in with a plan and keep to a schedule. If you're just starting out, here's an easy Thanksgiving that anyone can make. 5. You're not mashing your potatoes to their full potential. Honestly, even bad mashed potatoes are pretty good. But if you really love and respect mashed potatoes, you should learn how to make them exactly the way you want them. The type of potatoes you use, the tool you use to mash, and the dairy you add all affect the texture and flavor. Figure out which type of mashed potato is your fave, then learn exactly how to make it. 6. You're mashing two kinds of potatoes. I don't always take such a hard stance on controversial topics, but this is important: Do not mash your sweet potatoes on Thanksgiving. You already have mashed potatoes on the table. The sweet potatoes should be roasted, fried, or twice-baked. Gotta keep it varied, you know? 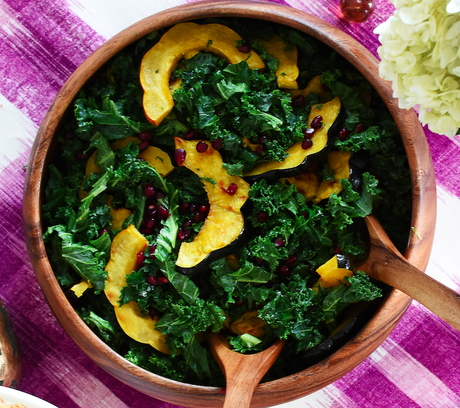 Here's a roasted sweet potato recipe that everyone will love. 7. You're not cooking your turkey to the right temperature. The USDA recommends cooking turkey to an internal temperature of 165°F, measured right where the thigh meets the breast (pictured above). That said, we at BuzzFeed Food really and truly think that leaving your bird in the oven until it's at 165°F results in dry, stringy meat. If you take your turkey out of the oven at 155°F, it'll carry over to 165°F while it rests. 8. You're still serving your grandma's mediocre green bean casserole because "it's tradition." I'm not going to tell you to get rid of green bean casserole completely (although while we're here I might as well tell you I think it's weird and outdated and not so delicious and that you're much better off making Brussels sprouts but IT'S YOUR LIFE), but at least make a good, creamy-crunchy-fresh green bean casserole that you can serve proudly. This recipe is a great one. 9. You don't serve at least one green vegetable not drenched in butter or cream or bacon fat. 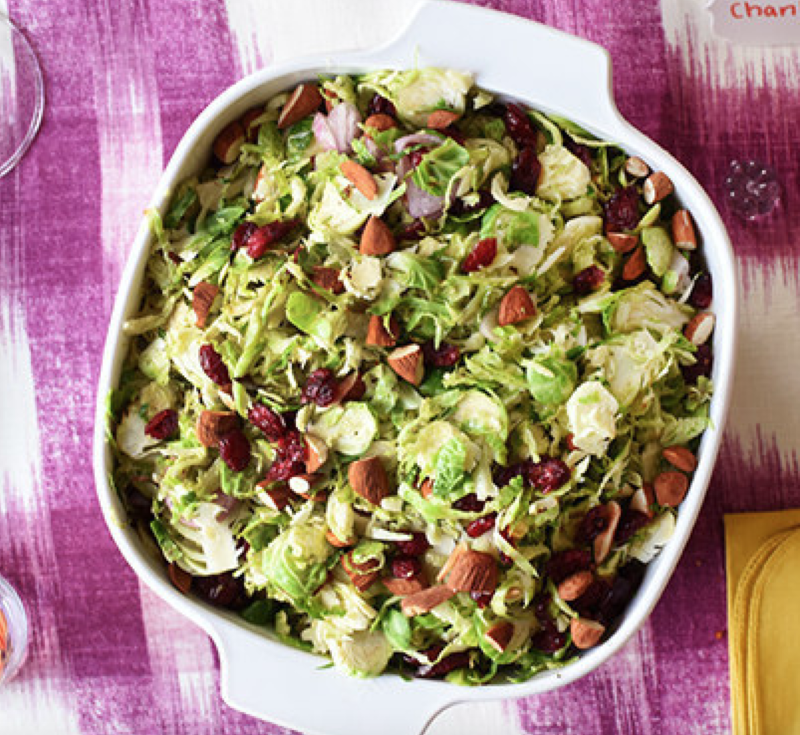 Whether it's a (bacon-free) Brussels sprout dish or a veggie-filled salad, you should have at least one green thing on the table that's actually kind of healthy. Not because you should be thinking about health on Thanksgiving (you shouldn't — that's a whole different mistake), but because all of the rich (DELICIOUS) food can be kind of overwhelming on your stomach and your palate. A fresh, crunchy vegetable dish is super refreshing and will be appreciated. Brining your turkey adds flavor, which is a good thing. But, brining in liquid is annoying — you need to either fit a 5-gallon bucket in your fridge (??? ), or hope that it's chilly enough outside to keep said bucket refrigerator-cold for 24+ hours. According to a BuzzFeed taste test conducted last year, a wet-brined turkey might actually taste less tender than a turkey that's not brined at all. 11. ...when you should be dry-brining it with salt, sugar, and (only if you want) spices. A dry-brined turkey takes up less room in your fridge (no bucket! Just a turkey and a sheet tray! ), is less messy, and makes for a more tender turkey. 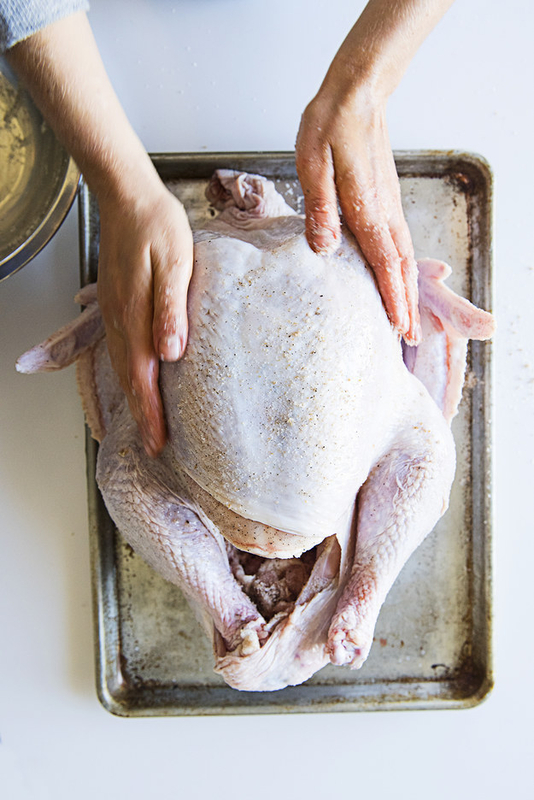 Here's the simplest way to dry-brine your turkey. 12. You're not drying your bread before you make stuffing. For best results, cut up your bread 24 hours in advance and let it sit on the counter to dry out. This way, it'll soak up all of the delicious liquid (and butter) without getting soggy. In a pinch, you can spread freshly cut bread out on a sheet tray and bake at 300°F for 20 minutes or so, but oven space is very valuable on Thanksgiving and you're better off doing it ahead of time. 13. You don't buy enough (or any) ice. If you're having more than four people over, it's likely you'll go through more ice than your freezer can make (even if it's one with a fancy ice machine). Pick up a bag of ice at the supermarket or gas station. Or, better yet, have somebody else bring one. 14. You're not using turkey drippings to make gravy. Gravy is the glue that holds everything together. (Except it shouldn't be the consistency of glue. If yours is, please heat the gravy and whisk in a little more liquid.) If you're flavoring yours with a package of "seasoning," you're doing it wrong. Scrape all the drippings out of your turkey pan and use them as a base for your gravy. Carving a turkey the right way isn't all that hard. Here's how to do it. 16. You're not making enough food. The specifics of how much food you'll need obviously depend on variables like who your guests are and how long they're staying, but here's a good basic guide to how much food you should cook, depending on how many people you're hosting. 17. Or, WORST OF ALL, you don't have enough wine. Whether you ask people to bring wine or you stock up on it yourself, make sure you have at least one bottle of wine per person. It's also a good idea to have a bottle of whiskey or a digestif on hand for after-dinner drinks.